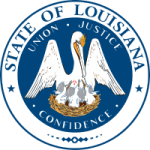 With the need to have a reliable way through which parents can determine how much they need to contribute to child support, the department of children and family services in Louisiana has come up with a worksheet that helps achieve this without having to visit their offices. It uses the guidelines set to calculate child support. Step 2: Enter the monthly gross income for both parents, adjust it accordingly and determine the percentage share of income to fill line 4. Step 3: To get the basic child support obligation in line 5, use the schedule chart here and compare with the combined adjusted gross income you got in line 3. Step 4: Make adjustments to the figure you get in line 5 based on child care expenses and determine the child support obligation for each parent.